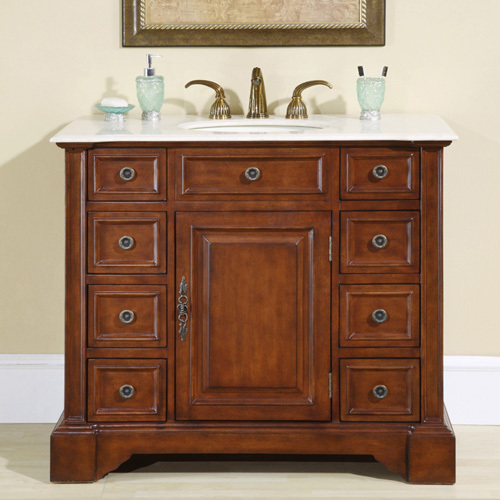 The elegance of the 40" Sisko Single Bath Vanity comes straight from its beautifully distressed cabinet design and Walnut finish. Its cabinet gives you eight drawers and a single-door cabinet of storage space, which means tons of space for storing all of your bathroom necessities. The Cream Marfil marble top gives the Sisko a unique contrasting look and is matched with a white ceramic undermount sink. 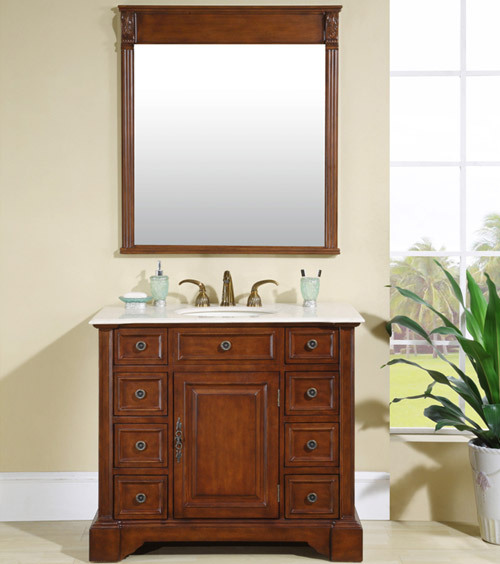 To add an additional touch of functionality and style, a matching mirror is available as an option. Faucets are not included.